Promotion - courtesy © alphaspirit - Fotolia.com Promoting your travel business. One of the keys to increasing revenue from both types of client is regularly publicizing special offers, promotions and package deals to create enthusiasm and excitement. If this is done correctly it can entice people to plan a vacation and take a trip or travel more on business. If there is enough flexibility in the offers / packages then some people can also be swayed to extend their business trips and include a little leisure and sightseeing time. This is a good strategy for any travel and tourism business as it exposes decision-makers to new destinations. If they enjoy the experience there is a high likelihood that they will return with family and friends and may also influence others to visit the same destinations. The challenge of course lies in getting the offers in front of the right type of client (or potential clients). In the past this was mostly done by means of print advertising. This often took the form of handouts (flyers) or advertising in newspapers, magazines and trade journals. While this method of publicizing the business’s offering generally worked well for bigger, more established agencies the high cost and relatively long ROI ( lead time often served as an entry barrier for smaller travel and tourism businesses. The rapid growth of the internet in the last few decades has radically changed the way people communicate, work and shop. Due to the nature of the internet it is a great leveler of commercial playing fields. Smaller up-and-coming travel and tourism businesses now have a way to reach out to potential and existing customers as effectively as their larger counterparts. In fact smaller businesses often do a better job of marketing and engaging with customers online than bigger ones. Partly this is because their simpler business model and flatter management structure allows them to respond to customer needs and changing marketplace conditions faster; and partly out of simple necessity – if a smaller business fails to attract sufficient customers it will go out of business within a fairly short space of time. However, simply realizing the power of internet marketing and deciding that the business should participate in this arena is not enough – action must also be taken. One – Have a company website. This may seem obvious but many people seem to think that having a company Facebook page or something similar constitutes a web presence. Social media and other third party websites have their place but they are not a substitute for a well-designed website over which the business has full control. General overviews of countries / regions. Any inside information that a travel agent can give that is not common knowledge. Not only will this inform clients but most people love to feel they have little-known information. This can make them feel connected to the business. How to stay safe in a foreign country. How to find interesting places to visit and things to do while on vacation. How to get the best deal on your vacation / trip. Three – Have options on the website for customers to contact the business, get more information, request a quotation or even make a booking online. Four – Tell everyone in the business’s existing network about the website and include its URL (web address) on all company documentation e.g. brochures and other marketing materials, quotation forms, letterheads and business cards. Five – Set up a company Facebook page and Twitter account and place subscription buttons to these on the company website. Six – Use these social media accounts to generate interest and traffic for the company website by sharing interesting information about destinations and the travel industry in general. Special offers, deals and possibly a regular newsletter can also all be sent out using these services but care must be taken to avoid the temptation to overload these platforms with sales messages only. People engage more with brands / businesses online when they share useful information rather than simply promote themselves at every opportunity i.e. they give as well as take. A good rule of thumb is for the content shared to be a 50 / 50 mix of useful information and promotional content. All posts should contain a link back to the company website to drive traffic back to the site. It should always be remembered that the purpose of a social media campaign is to complement the company website offering – not replace it. 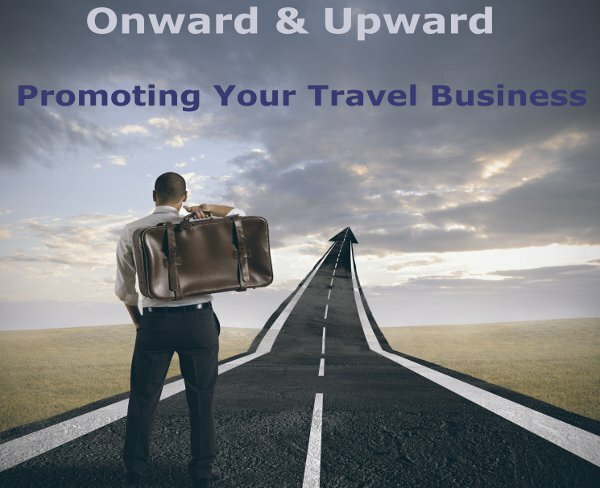 Seven – Look into registering and promoting the business on travel industry websites like tripadvisor.com – the same principle of sharing and participating as well as promoting applies. The internet offers a fantastic opportunity for businesses of all sizes of types in a diversity of industries to engage with current and potential customers. This medium can work well as a tool to help travel and tourism businesses grow their network and customer base – as long as they remember to balance their promotional activities with engagement, participation and information sharing. About the author: Federico Einhorn is Founder and CEO at FullTraffic. Passionate about Search Engine Marketing and Optimization, regular writer for the FullTraffic Blog. Since 2005, Full Traffic has evolved to become one of the most important Traffic providers worldwide for small to medium sized businesses. Founder and CEO at FullTraffic. Passionate about Search Engine Marketing and Optimization, regular writer for the FullTraffic Blog. Since 2005, FullTraffic has evolved to become one of the most important Traffic providers worldwide for small to medium sized businesses.